I love going to the grocery and picking up small bouquets of flowers in the wintertime. I use natural window light sometimes, but also studio lights. 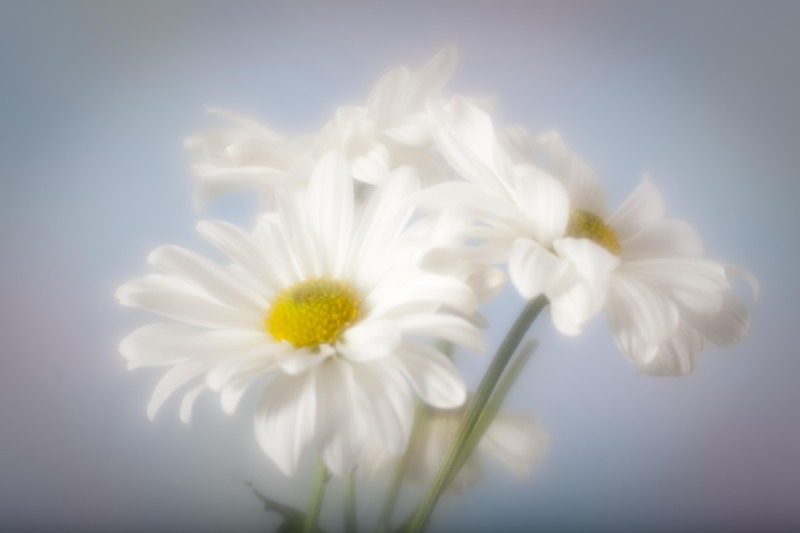 This image was taken with a Canon EOS 5D Mark II and a Lensbaby Soft Focus lens with 2.8 insert. The background is a painted blue and pink canvas.